It is a 1-year full-time programme including a 2-month internship with a company. – Hands-on practical exercises with a high level of pedagogical progression to offer students the opportunity to develop their skills to a professional level in directing, movement and acting. – Conferences by international animation and video game experts. – Production of an individual demo reel to help students enter the professional world. – 2-month internships or professional experiences in France or abroad, accompanied by a written training report. – Special speed-recruiting session during the Annecy festival for GOBELINS students finishing their training (with more than 40 companies attending this event). – A significant emphasis is given to international experiences during the course. 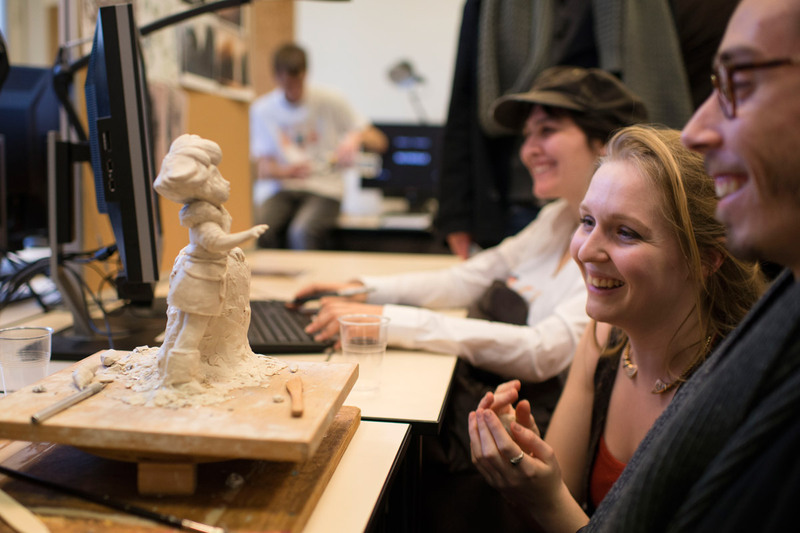 It is a 2-year full-time programme, which enables students to reach a professional level notably in character design, character animation, directing and storytelling. Character animation (2D and 3D) is at the heart of the programme. Students have rigorous exercises in 2D and/or 3D film making: scripting and direction methodology, dividing the film into sequences, character definition and characterization, graphic design, storyboarding and complex animation (mixed techniques, interacting characters). Teaching is centered on teamwork. During the course, teams will be encouraged to mix with students (over 15 different nationalities have joined the course each year) and gain an unrivaled level of versatility, which is recognized by professionals both in France and abroad. – Lessons, conferences and hands-on exercises offered by professionals from the world of animation cinema. – Immersive experiences in the industry (internship report). – Creation of a making-of demo reel (production, in multicultural groups, of an end-of-studies short film) and portfolio. – A speed-recruitment session during Annecy International Animation Festival and in Paris after graduation for all of the last year students. 1. What do you think are your unique characteristics or strengths? Moïra Marguin: Our programmes take an innovative pedagogical approach. We nurture our students through every possible means such as teamwork, workshops, project-based courses, tutoring and self-training with specialised resources, interdepartmental projects and collaboration, professional assignments, final projects presented in exhibitions, publications, and international festivals. Students can test something freely and have advice from professionals who are working in companies and production studios, to learn everything used in professional environments. Every professional who teaches and supports students pushes them to achieve their best in an artistic way, because animation is a way to communicate with their drawings. The school focuses a lot on the intercultural aspect that international students from worldwide bring and share during their studies at GOBELINS. Moreover, it is important for us to recruit and choose students with great skill in different styles because we want to maintain diversity in artistic style among them to stimulate their creativities and have a good synergy among them. 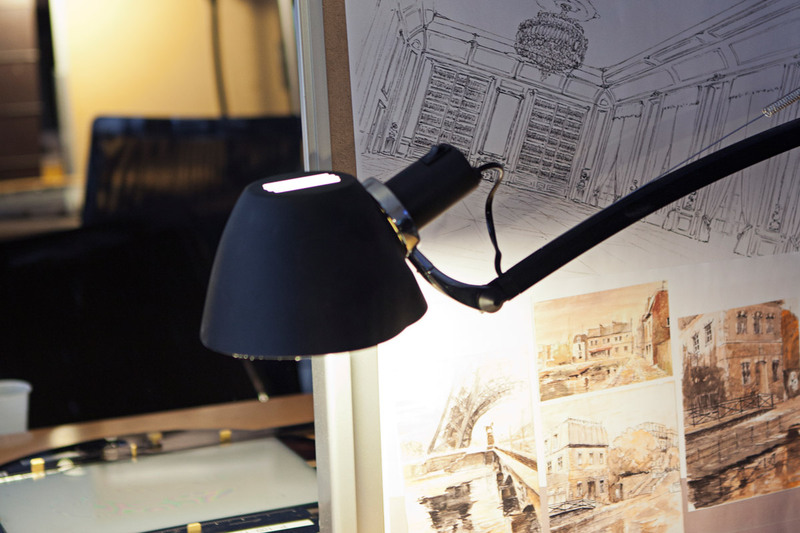 So, the selection process at Gobelins is very strict and applicants take multiple rounds of drawing tests as a part of the selection process and usually they have studied the arts for two or three years before applying for Gobelins to be accepted in the Masters. Regarding the bachelor’s degree in 3D Character animation, there is no need to have skills in drawing. Moïra Marguin: Many of the graduates are working with international animation studios such as Disney, Universal, Pixar, Blue Sky, DreamWorks, as well as in Japanese studios and in many prestigious animation studios around Europe to contribute significantly to the foundation and growth of the European animation industry. Former students include well-known distinguished individual artists, such as Kristof Serrand, Pierre Coffin, and Louis Clichy, to name a few. GOBELINS gave us not only information of their degree programmes above but also two training programmes they are taking part in below. MOOC Anima Podi: It is GOBELINS’ first free programme sponsored by PATHE, which has launched in October 2018, in order to be able to spot the best talented people in the world. The first session was held in French, but the programme is already working on an English version. Animation sans Frontières: A professional training programme developed by The Animation Workshop, Filmakademie Baden-Württemberg, GOBELINS and MOME and supported by the Creative Europe Programme of the EU. This is a programme designed for young directors, art director, producers, scriptwriters and technical directors to understand the European and international animation industry and markets, as well the space, time and tools to develop, finance and produce their own projects, careers and eventually production companies.